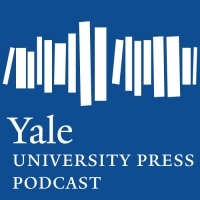 If you are looking for contact details or information about Yale University Press, please take a look at our frequently asked questions. How can I contact Yale University Press? How do I order books from Yale University Press? How do I search the website for a book or author? How do I submit a manuscript to Yale University Press? How do I request an exam / desk copy of a book? Where can I get permissions / rights information for your books? Where can I find information about the Yale Series of Younger Poets? Where can I find job openings at Yale University Press? How do I get to Yale University Press? 3. How do I search the website for a book or author? You can search for a book or author using our search engine, which appears at the top right-hand side of each page. Search by book title, author name, ISBN or keyword and hit ‘enter’ and you should receive a search results page with the information you are looking for. Alternatively, you can search for books by subject category by clicking “Browse Subjects” on the navigation bar at the top of the page. 5. How do I contact an author? 10. Where can I find job openings at Yale University Press? Please visit the Yale University Human Resources website to find current job openings at Yale University Press. 11. How do I get to Yale University Press? Yale University Press is located at 302 Temple Street on the Yale campus in New Haven, Connecticut. From I-91 North or South, take exit 3 –Trumbull Street. Go to the third traffic light. Make a left onto Temple Street. Go through one traffic light (Grove Street). We are just past the next intersection and one building in from the corner of Temple and Elm Streets on the right side of the street (before the New Haven Green). Street parking at meters is available for 25 cents for 12 minutes. From I-95 North or South, get onto I-91 North and follow the directions above.